Albert was right. 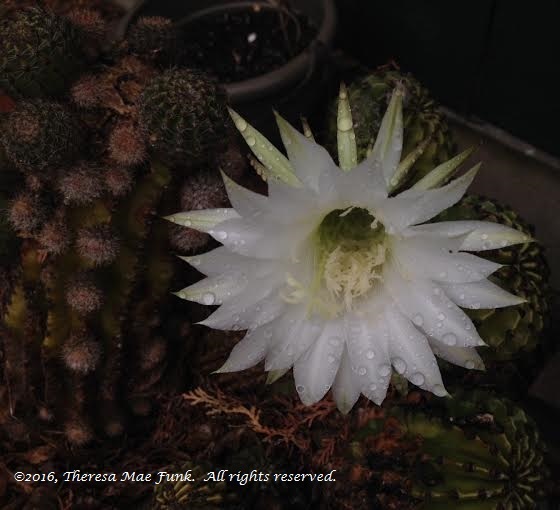 I noticed the ceroid cactus blooms this morning while collecting my rain soaked watercolor paper from the garden. The passing shot taken with my mobile device is no Frans Lanting, but the result of the spontaneous act is, I think, worthy of a post.